I like to think of myself as a bit of a chef. I love nothing more than trying new recipes and creating dishes I would never think of trying, so to say I was excited to try the Hello Fresh box is an understatement. I was a little in awe and a bit overwhelmed. I had never done anything like this before, I was a food box virgin, so I was entering this experiment completely blinded. To say I was impressed would be an understatement. 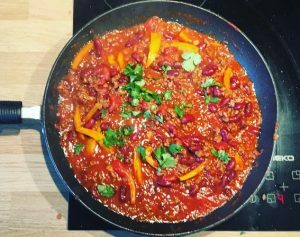 I tried three different meals, Superquick Mexican Chilli. They all came enclosed in an insulated cool box, accompanied by ice packs to keep them cool and all were separated into three different colour coded bags to avoid any confusion on what ingredients were needed for each dish. The meat was was kept fresh contained in a vacuum sealed packaging. Each meal, came with all the ingredients, (minus salt, pepper and olive oil) already chopped, diced and proportioned for you making it the easiest meal to cook, everything is practically handed to you on the plate. I liked that there was no stress whilst cooking and no running around like a headless chicken gathering my ingredients, it was all already there for me. Simple and elegantly done. It’s this preparation that makes HelloFresh stand out to me. It is clear they have put time and effort in to their dishes and have gone through a long thought process on how to make the meals provided perfect for each individual. The cooking process was quick, simple and on the table within 20 minutes. It is perfect for full time workers who struggle to find time to cook healthy meals after a long day and perfect for those inexperienced cooks, looking for a little extra help. The portions are distributed accurately. I was very pleased with the quantity and quality of the dishes, not a single bite wasted but enough to fill your stomachs up. Very satisfactory. A lot of the time with recipes, the end product is never as good as the picture provided. To my disbelief, the HelloFresh meal looked almost identical. The instructions are set out on an A4 piece of paper with every step that needs taking, accompanied by a picture story board to keep you on track. The best thing about these boxes, in my opinion is the good food provided. 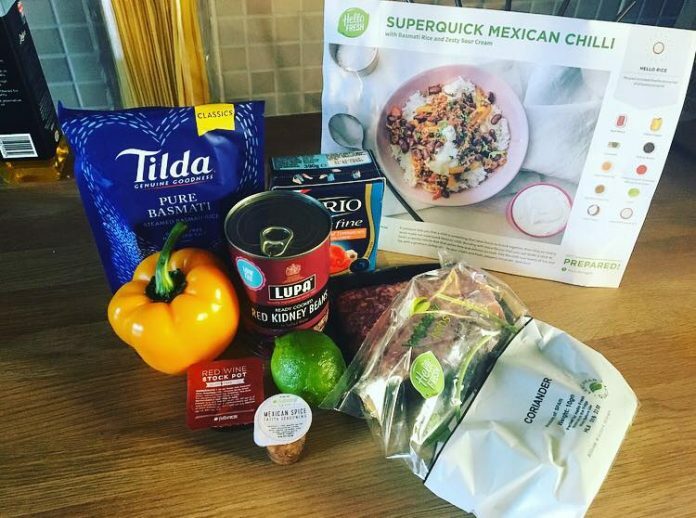 It can be very difficult to find time to eat healthy these days, believe me I know but all these meals included in this package count towards your five a day. Knowing the food your eating is completely guilt free makes the food that slightly more delicious. 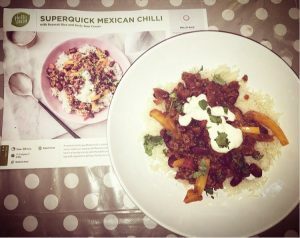 Find out more at www.hellofresh.co.uk.